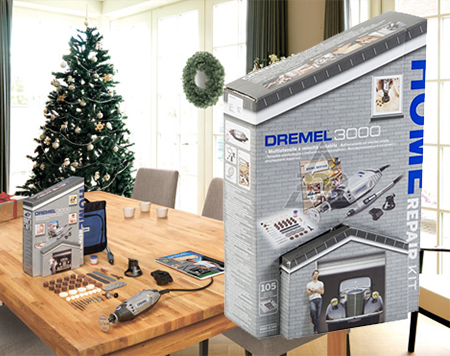 Dremel have introduced two kits just in time for the festive season: a Home Repair Kit and Home Décor Project Kit, both of which allow users to complete a variety of projects. The kits make the perfect Christmas gift for any DIY or craft enthusiast and are available at your local Builders, via www.tools4wood.co.za or your local Dremel stockist. 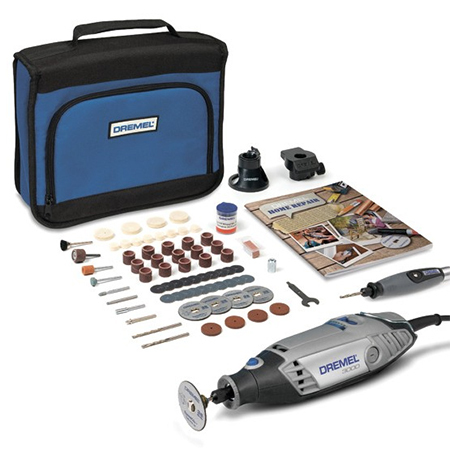 The ideal Christmas gift for those who enjoy home DIY and renovation projects, the Dremel Home Repair Project Kit comes with the versatile and easy-to-use Dremel 3000 multitool that you can use for engraving, cutting, sanding, polishing and grinding applications. The EZ Twist Nose Cap allows quick and easy accessory changes. Packed in a nylon bag for convenient storage, the Dremel Home Repair Project Kit includes a 105-piece accessories set, as well as a 576 shaping platform, 565 multipurpose cutting kit and 255 flexible shaft for increased tool flexibility and for fine, detailed work, fast material removal, grinding in tight spaces, fast and convenient cutting, controlled sanding and high-quality finishes. 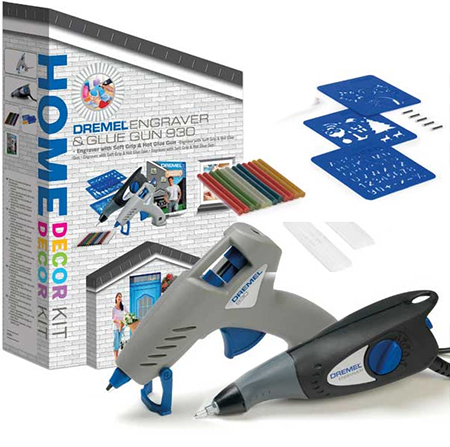 For those who love craft projects the Dremel Home Décor Project Kit comes complete with the versatile and precise Dremel 290 Engraver and the Dremel 930 Dual-Temperature Glue Gun and a variety of attachments for both the engraver and the glue gun. These include; a set of engraving templates for precise engraving of numbers, patterns and shapes, carbide engraving tips for precision engraving, and clear and glitter glue sticks for various gluing applications.